Legendary Romanian football player Gheorghe Hagi is being considered as the next permanent coach of the Bulgarian national football team, according to reports in Romanian media. Currently the place of Bulgaria's head coach is temporarily filled by Mihail Madanski, who replaced German star Lothar Matthaeus, after the latter's contract was not renewed in September. Matthaeus proved incapable of overcoming what is shaping as a deep crisis in Bulgarian football, which resulted a spectacularly weak showing in the Euro 2012 qualifier, with the team finishing last in Group G, with only 1 winning game and 2 draws against the teams of England, Montenegro, Switzerland and Wales, and only 3 goals scored. 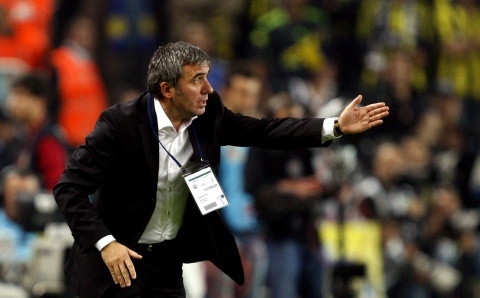 Thursday Romanian radio Total Sport reports that Hagi, who has an extensive experience in coaching key teams, is among the persons considered to head the Bulgarian national team, as the Bulgarian Football Union is reported to be searching a key name in international football. According to Total Sport, the Bulgarian Football Union and Hagi have already held talks, including about the possible salary. The former Romanian attacking midfielder, widely considered the best footballer in Romanian history, last coached Turkish team Galatasaray, and has also been a the helm of Bursaspor, as well as a couple of Romanian teams, such as Steaua Bucharest and a brief stint in the Romanian national football team.